What is this “Clean Eating” you Speak of? Did you know that you don’t have to diet anymore? Dieting is SO last decade. Seriously though…just eat clean, whole foods and combine it with some phyical activity at least 3-5 times/week, and that’s IT! So easy! 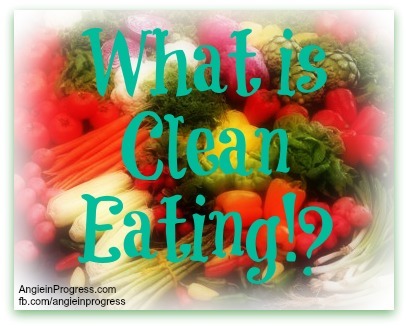 Want to know what I’m always talking about when I say “clean eating” this and “eat clean” that? Watch this quick little video that I made to get an idea of how to eat, without dieting, and still get the results you want. Thank you so much! 😀 I’m glad you liked it! Previous PostPrevious TEN Steps to Get BACK on TRACK!